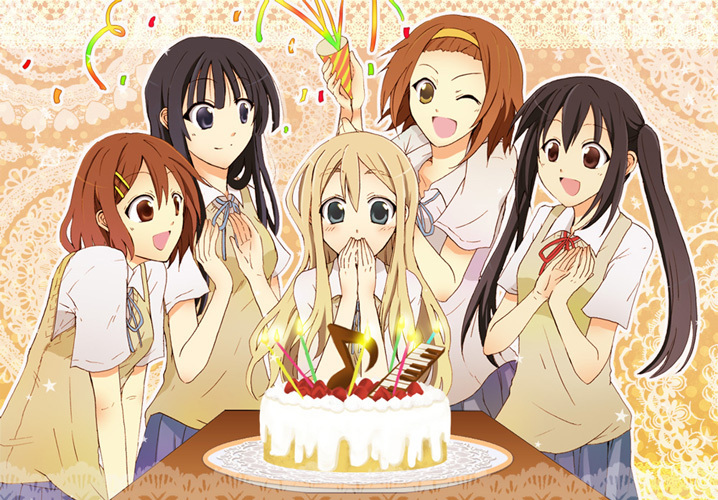 Mugi is as surprised as we are. Five years ago today, Ray and I started a little anime website called “Scattered Cels.” It became “Anime Diet” in the spring of 2007, hardly missing a beat in the transition, and we’ve been writing, con covering, and growing ever since! Thanks to all the staff, past and present, who helped build this site, and thanks to all of you readers, listeners, and viewers who’ve been supporting us all along. Because of all of you, we are one of the longest surviving anime blogs on the Internet, having long beaten the 2 year curse more than twice over. And we ain’t stopping anytime soon. There’s still so much we have yet to accomplish, and some much left to do. So join us as we continue our journey forward in love and anime and otakuness. Who knows where we’ll end up as we began our sixth year? There will be ups, and there will be downs. Wherever it is, though, we can’t make it without you. And we hope to see you along the way. Art source: 榛名ヒスイ via nanami. Congrats! Wish you guys many more years to come! I only have one request, bring back the podcasts!